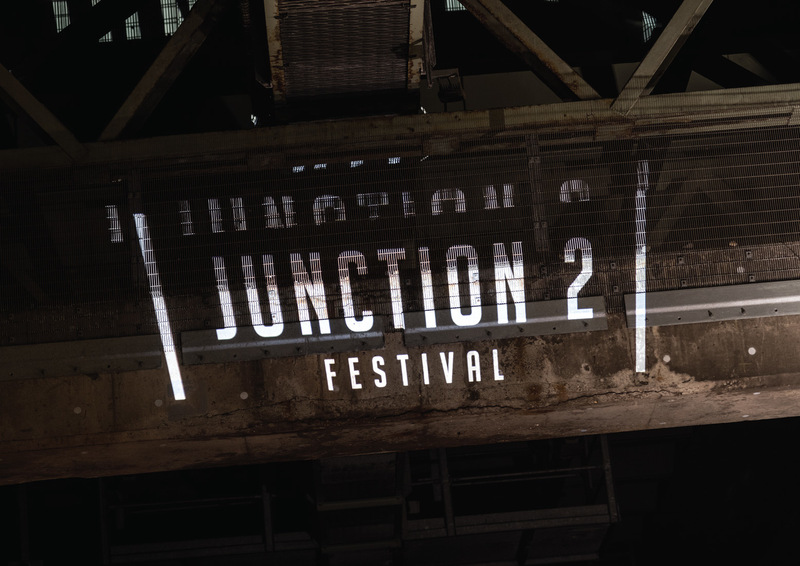 Filthy Media commissioned me to shoot the advertising campaign for Junction 2 Festival. 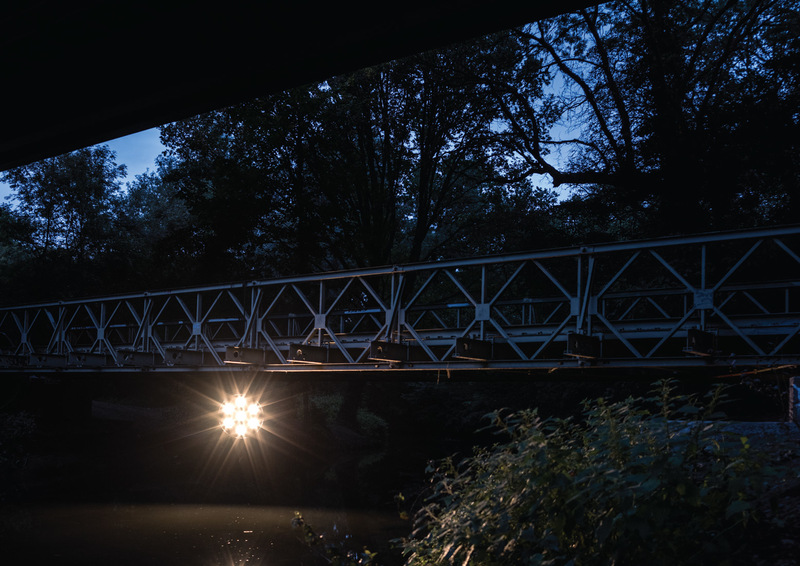 We had a full-on day photographing on site at Boston Manor Park in West London. It's a rather strange place - a beautiful Jacobean mansion which must have been someone's country seat when built. London has encroached on it, and in pure 1950s style, the local planning department decided in their wisdom that this delightful stately home would be improved by building a motorway through the back garden. This was the M4 and the festival is named after... yes, you guessed it, the second junction. It's an odd mix of carefully landscaped park and urban detritus underneath the flyover, and made for a surreal shoot location. 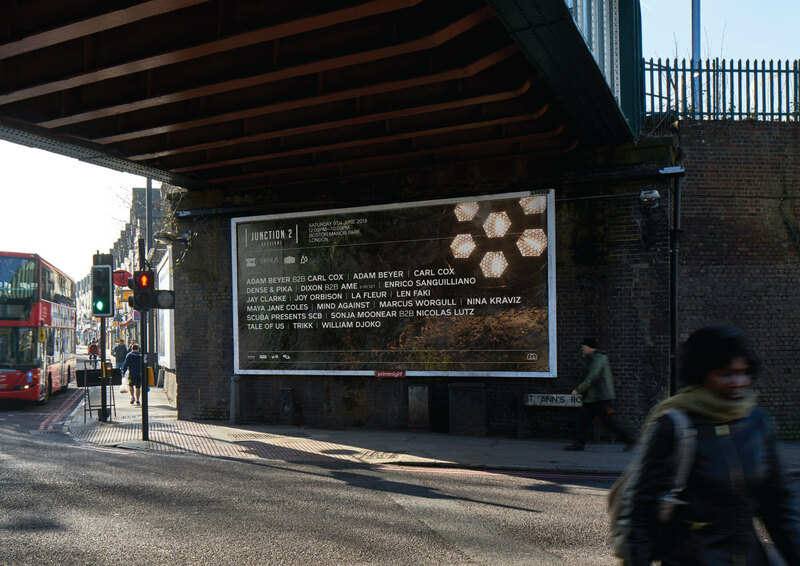 The creators of the festival have had the awesome idea of taking the illegal 90s rave concept and making it into a viable festival in a location where you can turn the music up as loud as you want without annoying anyone. Presumably there must be a few confused truckers wondering where the house and techno is coming from as they pass overhead. 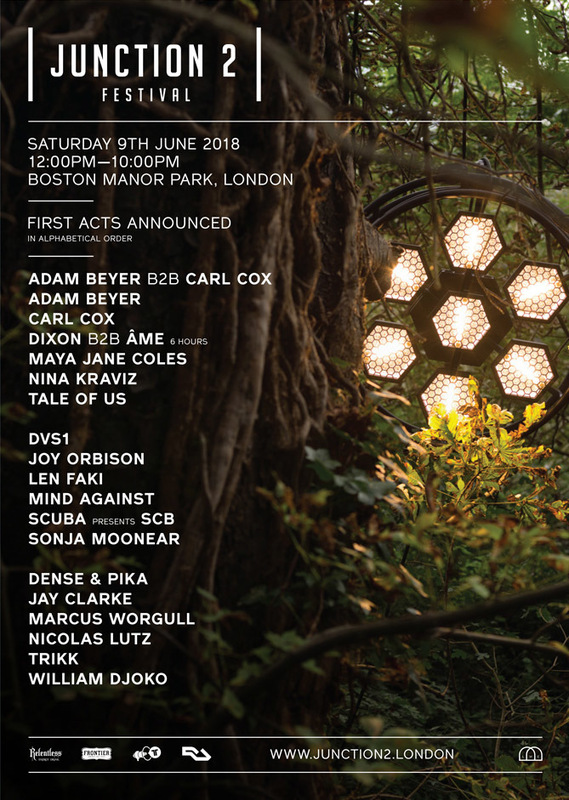 DJs this year included Carl Cox, Âme and Adam Beyer.